Just Something for Lost-aphobics! | God is in the details! Did you watch this week’s “Lost” episode; “The Constant?” They were very upfront with the date these events were taking place: December 24, 2004. Up to this point, the dates of this entire story has been somewhat obscured from viewers. 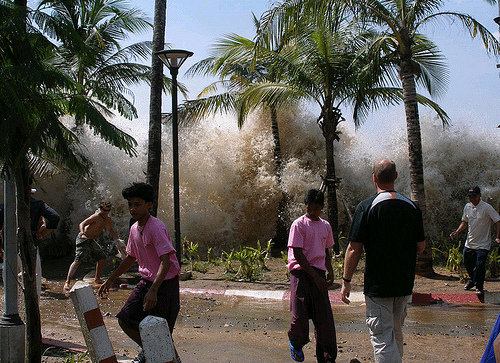 However, I just happened to remember that the Southeast Asia tsunami happened around Christmas of, I thought, 2004. Sure enough, I checked it- and the tsunami did happen on December 26, 2004. So….what could that possibly mean for our Losties on an island in the South Pacific two days before the tsunami? These next couple of episodes could be pretty interesting. You are always thinking! By the way, I’m dying to hear about Sunday!! Well someone sure has on their thinking cap!!! I don’t watch lost but that does sound interesting!